Real nice Ron....keep putting that carbon in the air! Good on ya, Ron! 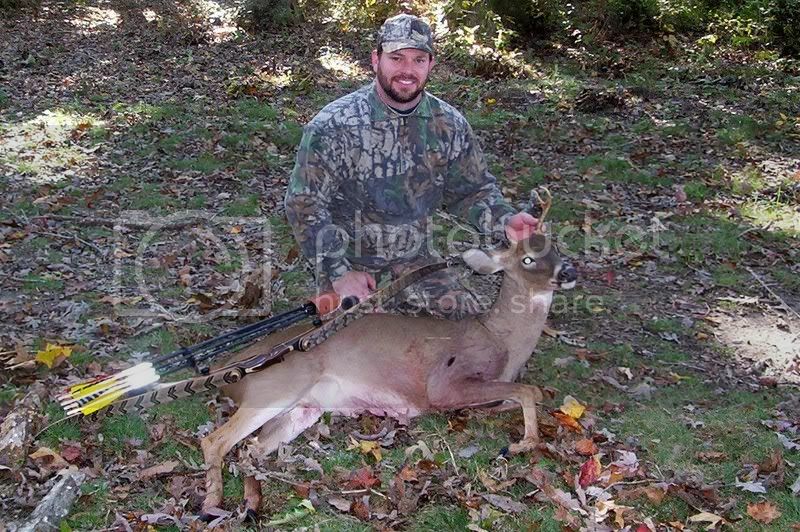 Nice Deer and shot - enjoy the rewards. With that shot placement I see why he only went 60yds. Nice Shootin! Mate that is some sharp shooting a perfect shot to by the looks , not that I could keep my eyes of that bow to long , that really is a beauty if it shoots half as good as it looks it will be a killer , congrats on a fine animal. Man those Morrisons are pretty!!! Congrats bud! !